When beginning her journey into adulthood, Samantha Taggart joined the military, searching for career choices. While in the military, she realized how blessed she was with my family growing up and decided she wanted to be a social worker to help others that were not as lucky as she was to have a loving family. Sam completed her degree once she got out of the military and started her adventures in the social work field. Foster care is not a job to Sam, it is her passion. Sam believes in what she does and hopes that she can find help for children and families as they reunify or help parents when they are adopting. In 2012, AWFC licensed two homes in the Wichita Falls area. These homes were supervised through our Abilene office. In August 2013, AWFC began the process of licensing more homes in this area with one employee working from her home. The numbers began to rapidly increased. The staff loves the opportunity to serve children and families in Wichita Falls and surrounding communities. 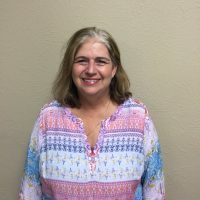 The Wichita Falls office has a variety of foster families that work with children that have primary medical needs, developmental issues, as well as foster families that are therapeutic in nature. Our Wichita Falls office is also working with families that are looking to adopt children, as well as those that have taken in family members. AWFC is very excited to be partnering with the local community and the many professionals who currently provide services to foster children in need. The Wichita Falls community is very supportive to AWFC and our children. They will help us provide the most fun, loving, caring and therapeutic homes to our children. Contact the Wichita Falls office to find out how to foster or to just help out with foster families and children in your community.